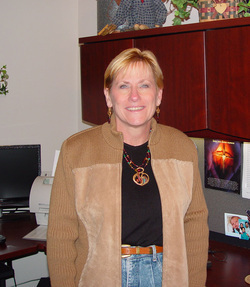 Carol is the City Director for ISI Kansas City, as well as working as a Campus staff person too. She is on staff full-time with ISI, and has been with ISI since 1998. Carol received a bachelor's degree in Psychology from the University of Kansas, and a Master’s degree in Counseling from the University of North Texas. She was an individual and marriage counselor in Irving, TX, along with being full-time staff with Campus Crusade for Christ since 1977 before joining the staff of ISI. U.S. She can't imagine doing anything that she loves more than helping international students and helping get Friendship Partners involved in the lives of the students through this ministry. Since 2011, Mike has worked part-time with ISI as the City Mobilizer in Kansas City recruiting volunteers and helping int’l students adjust to life in the U.S. Prior to joining ISI he has worked with university students in Iowa and on a church-planting team in Bulgaria. Having lived cross-culturally he understands the challenges that students from other cultures go through and that friendships with those of the host culture are a necessary part of an overall healthy experience in a foreign land. Mike, an ordained minister since 2004, has a Business Administration degree from KU and a Master of Divinity degree from Reformed Theological Seminary. He has been married to Susan since 1990, and, together, they have been blessed with four children. Sandeep Thomas is an ISI Campus Ministry staff. Sandeep is an Electronics. Sandeep is an Electronics Engineer by education and worked in both the computer and the advertising industries in Mumbai. He then combined both experiences to co-found an Internet company delivering online learning courses in 1999. In 2000 he relocated to Pittsburgh, PA while still in charge of operations at his company. Sandeep completed a Masters in Divinity from Pittsburgh Theological Seminary. He developed a heart for serving international students and scholars when he became a pastor of the Asian Indian Christian Church of Pittsburgh. He loved helping international students so much that he left the computer industry to work with international students and scholars full-time. He is now also the Pastor at Mennonite Argentine Church in the Argentine District. Sandeep loves extending hospitality to international students. Sandeep also loves counseling international students, connecting them with American families, and conducting Bible Studies with interested Indian students. since. All that they have done over these many years is because they love international students. Mike has a Masters Degree in Biology from UMKC and works in a science-related legal position. For more information on the Park University ISI Friendship Partner Program or students wanting to get involved in the ISI Events and services contact Jill. 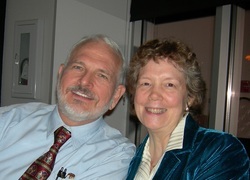 Eric and Melody have worked with ISI since 1992, when they helped run a conversational English school for international students in Buffalo, N.Y. They returned to Eric's hometown of Kansas City in 1998.
International students from UMKC & KUMC come to their home for International Student Fellowship (ISF) twice a month. Melody helps Coordinate the International Wives Connection. Eric and Melody were international students themselves in China and Europe. Both attended the University of Buffalo and received their Masters degrees in education, teaching English to speakers of other languages. Eric currently works full time as an art teacher and as a freelance illustrator. Melody works more than full time as a mother of three and at their children's school.